The long wait is over, “Going Clear” was broadcast in the US on the 29th of March 2015. 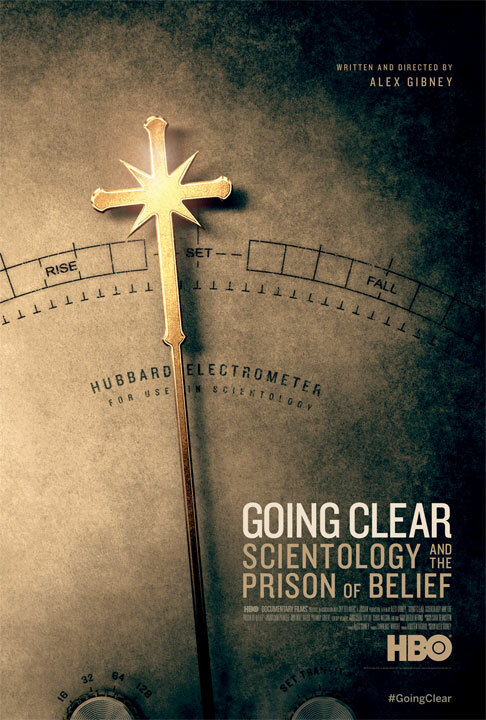 This film has been so keenly anticipated by activists because it promises to bring the story of the Church of Scientology into the mainstream, and could prove to be a game-changer. Please, buy a copy when the film becomes available for download, or on DVD. The people who made this need our support. A review will follow (after I’ve seen the film myself). Important news about the availability of “Going Clear” in the UK follows after the break. According to a story in the national newspaper “The Independent” “Going Clear”may never be broadcast in the UK. The problem is that the UK legislation regarding defamation (which used to unfairly put the burden or proof on the entity which makes potentially defamatory claims) has recently been liberalised. Unfortunately Northern Ireland (which is part of the UK) is dragging its feet in implementing the new law. According to one report, Paul Tweed, a Belfast lawyer who represents David Miscavige, has been the main voice arguing against the extension of the 2013 Defamation Act to Northern Ireland. Tweed has also represented the First Minister of the Northern Ireland Assembly, Peter Robinson who has been instrumental in blocking the legislation. Sky Atlantic (which owns the UK rights to “Going Clear”) is a satellite broadcaster, and the ‘footprint’ of its satellites cover the entire UK – including Northern Ireland. Consequently, if Sky broadcasts the film to the UK, it is liable to be sued in Northern Irish courts and required to prove claims made in the film (for example, that David Miscavige has physically attacked Scientology ‘executives’). In the meantime, UK citizens In fact the whole world) can watch the film online or download a high-definition version from this page.